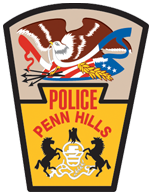 Chief Burton began his law enforcement career with the Penn Hills Police Department in March of 1969 as a patrol officer assigned to the Uniform Patrol Division. He worked as a patrol officer until 1975, at which point he was appointed to the Criminal Investigative Division as a detective. In 1980 Chief Burton advanced to the rank of Sergeant and assigned to the Uniform Patrol Division, where he was responsible for supervising the patrol officers assigned to his shift. Within a year he took a promotional exam and was promoted to the rank of Lieutenant and placed in charge of the Uniform Patrol Division. He spent nearly ten years in this role. In 1991 he was assigned to supervise the Criminal Investigative Division. A vacancy at the top of the police department’s command structure in 1995 paved the way for Chief Burton to assume the responsibility of managing the entire police department. He was appointed the officer in charge of the department, and then to the position of Chief of Police in 1999. Chief Burton attended the Pennsylvania State Police municipal police officers’ academy in 1971. At the time of his hire police academy training was not required to become a police officer. Throughout his career, Chief Burton made time to complete continuing education, earning a Bachelor’s degree and Master’s degree from the University of Pittsburgh. He is a graduate of the FBI National Academy; a prestigious program offered to police executives across the country, as well as other countries around the world. Chief Burton attended the 176th session in 1994, held at the FBI’s headquarters in Quantico, Virginia. He then completed the Pennsylvania Command Institute for Police Executives in 1997, followed by an FBI Law Enforcement Executive Management Training seminar in 1998. Below is a list of licenses, certifications, awards and organizations that Chief Burton has received or belonged to over his law enforcement career.